Over 4 million android users have been targeted by hackers with malicious software. These cyber criminals are hacking android phones, tablets or other smartphones in different ways. Let’s say, hackers will send spam email from their previously hijacked email accounts. According to San Francisco-based mobile security company Lookout, this kind of infectious spam technique happens no less than 20 thousand times every day. There are several techniques they are using n in addition to that, they apply spamming emails to the Android phones having weight loss solutions for the naïve victims. But these emails do actually contain malicious software. 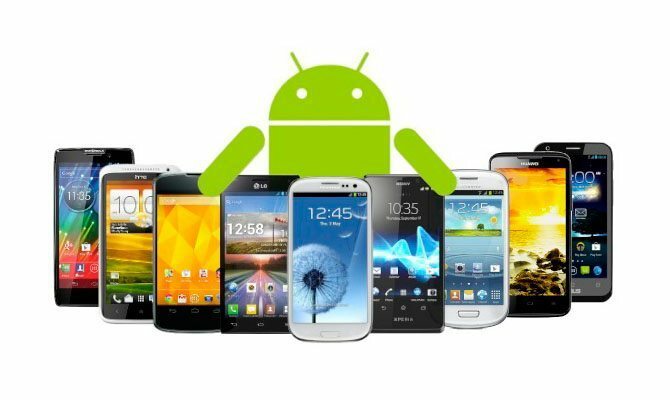 Taking control of the Android phones and other smartphone devices is the main goal of these crime architects according to Lookout. To add more about the illegal approach of these criminals is getting to the poor victim’s Android phone in purchasing concert tickets and they will sell it at low prices. Researchers of Lookout said to New York Ties that NotCompatible’s author infects many Android phones, tablets and smartphones, since they can make it to a botnet in the long run. Botnet is sometimes called the “zombie-army”, which is a large number of compromised computers being used for passing the viruses, creates spam and inundate the website server with unnecessary requests until it crash. Lookout stated that the malware is now on the 3rd iteration, permitting infected devices to communicate with other devices and share intelligence. Malware attackers also find their way to encrypt communications from their control center to the infected devices that makes it trickier to detect. These malicious deeds can be expensive. The criminals were incurring data charges from phones, which the victims will be seized responsible for. Researchers also said that this malware attack can cause incredible battery drain. Lookout has raising concerns regarding the security of the mobile devices. Their mobile security app that is available for Apple and Android phones can identify NotCompatible malware and keep them from infecting Android devices if they have downloaded the Lookout security application. NotCompatible people have been running illegal moves like their business. Criminal’s malware directly infects devices for sharing intelligence and communicate to other devices such as Android phones and smartphone devices. Previous articlePSN, 2K, and Windows Live Hacked, Change your Password!